Funny story: I was in Wal-Mart the other day and saw that they had turned my favorite cookies, Nutter Butters, into a cereal! What?! It was then, in that moment, that I knew we needed a remake so I could enjoy Keto Peanut Butter Cookies without feeling like I'm missing out. These cookies may not taste exactly like nutter butters, and the reason is because they don't have all the junk ingredients in them, but they are dang delicious! Peanut butter is on everyone's favorite food list, unless you're allergic, of course. In that case, I'm truly sorry for your loss! We also know that homemade is always going to be better. You have full control over the ingredients and if you're feeding your family you have no reason to feel bad for feeding them with unnatural ingredients. 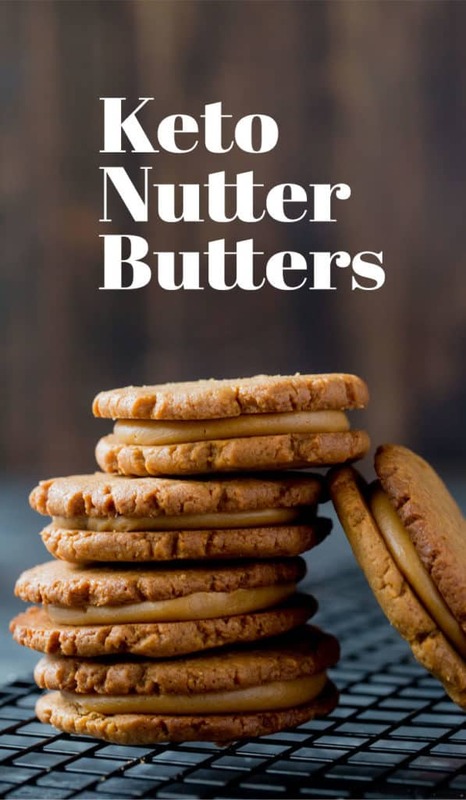 These homemade nutter butters are going to the your kids or even your new favorite cookie to make and eat! Let's be real for a moment - there are plenty of you who don't want to bake your own cookies and I totally get that. 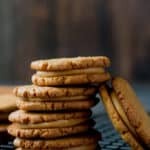 If you are in the market for a delicious, low carb, packaged peanut butter cookie that we stand behind give Fat Snax a try! If you're more into baking then we've got a whole lot more incredible cookie recipes for you to try, from our chewy chocolate chip cookies and avocado fudge cookies, to our pecan shortbread cookies, resembling my other favorite cookies, Pecan Sandies! 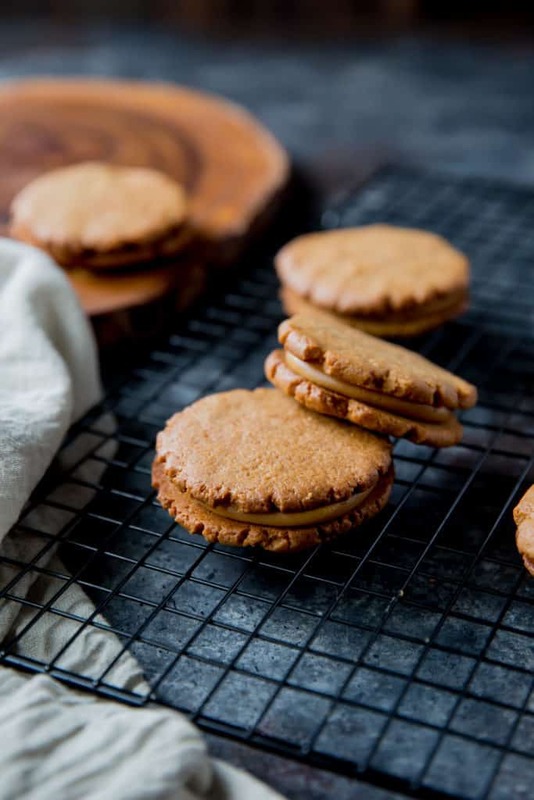 These keto peanut butter cookies are minimal ingredients, maximum delicious and perfect for packing in lunch boxes and meal prep. If you don't want to make the filling, these cookies are great on their own and will take you less than 30 minutes to whip up. 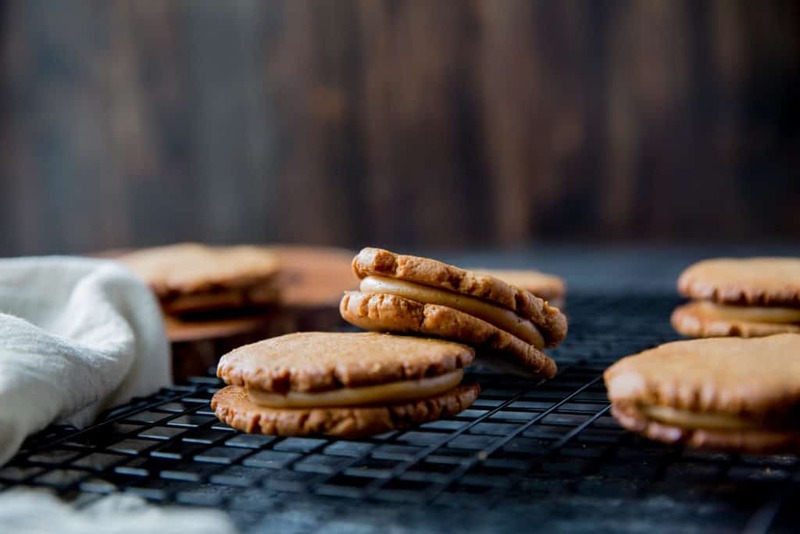 If you were ever a fan of nutter butters, or have a love for peanut butter give these Keto Peanut Butter Cookies a try tonight! Recipe can be quickly added to MyFitnessPal - Search "KetoConnect - Keto Peanut Butter Cookies"
In a medium size bowl, add all the cookie ingredients in a bowl and mix them all together until it’s well combined. Roll the dough into 1 inch balls using a scoop or your hands. Place the balls of dough on a cookie sheet lined with parchment paper and press down balls until they are ~ ¼ inch think. Bake cookies for about 15 minutes or until golden brown. Allow them to cool down for about 10 minutes before removing them from the tray. In a large bowl add all ingredients except for the peanut butter. Whip until stiff peaks are formed. Add remaining ingredients to whipped cream and fold in until just combined. Divide whipped topping onto half of the cooled cookies and then top with remaining cookies.